Play2win, 21Grand and SupremePlay Casino just launched its brand new 50-line, 5 reel slots - Mystic Wolf slot machine game. These sites are amongst the first Rival sites to have the game available. 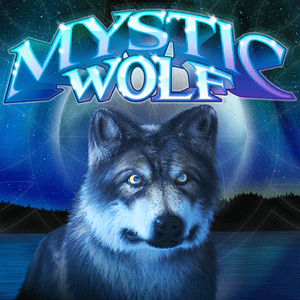 As a player of this particular 50 line slot machine game you will follow the Wolf on a quest for treasure with Mystic Wolf, at Play2Win Casino's latest 5 reel slot. During the game the Wolf will guide you with a main scatter as he's howling at the moon and running through the forest. Mystical icons include the Moon, Magic Feathers, a Mystic Coin, a Diamond, a Wolf head, a Howling Wolf, and Lunar Dice. Remaining icons include the traditional playing card values - 9, 10, Jack, Queen, King, and Ace. The Running Wolf icon is Wild! Once you hit the running Wolf symbol you will experience a wild Mystic Wolf Super Round that awards free spins and is triggered when three or more Magic Feather icons appear. During the Mystic Wolf Super Round, collect three or more Lunar Dice icons anywhere on the screen to trigger the Lunar Phase Bonus Round. Choose 3 lunar phases and match them to the dice to win coins. Watch out for Random Wins during regular gameplay and during the Mystic Wolf Super Round! How about checking out this brand new game, playing directly in the beautiful entertainment surroundings of the Play2Win Casino. Or find a free demo version available, to practice before spending. Grab your coins and take a spin tour on that incredible 50 line 5 reel slot machine game and take the jackpot home today.